All eyes are on The Dark Knight Rises this coming weekend. Christopher Nolan's trilogy-capper will do very well worldwide during its debut frame. Warner Bros. has expertly built up enthusiasm for The Dark Knight Rises by giving fans a steady stream of new information while remaining (mostly) spoiler-free at the same time. It's going to pay off in a big way. There's no way this movie can miss. The Dark Knight Rises has everything going for it: a great cast, a trusted director, immensely valuable brand recognition, and the fact that it's the last film in a trilogy. Last installments tend to be the most successful—Harry Potter and the Deathly Hallows: Part 2 and The Lord of the Rings: Return of the King are two prime examples of that. Don't be surprised if The Dark Knight Rises tops The Dark Knight's $1,001,921,825 worldwide haul. Comparisons to the $207.4 million record-setting opening of Marvel's The Avengers are inevitable, but ultimately unfair. 52% of Avengers' opening weekend gross came from 3D shows—an advantage The Dark Knight Rises does not have. Although, TDKR is bound to set records on IMAX screens. As of 3 p.m. PT, Fandango reports that The Dark Knight Rises leads daily sales with 85%. 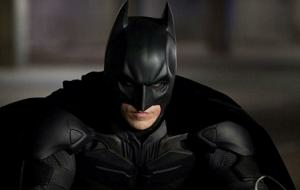 Look for The Dark Knight Rises to rake in $198 million from 4,404 locations during its debut frame. Magic Mike Jun 29, 2012 Warner Bros.